This is a silent film produced by Harry Stanley's Unique Magic Studios. 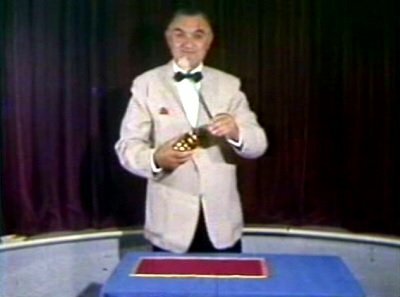 It shows Lewis Ganson performing his Cups and Balls routine as well as an effect with a glass plate, three transparent cups and three silks. 1st edition 1960s, length 9 min.